Luxury condominiums are typically marketed through publications targeted to affluent buyers. Though it went against conventional wisdom, we took a more mass-market approach. We developed creative that included TV commercials to build suspense before the groundbreaking could be announced. The commercials debuted in Super Bowl L. They also ran during the Academy Awards and other prime viewing occasions that year. 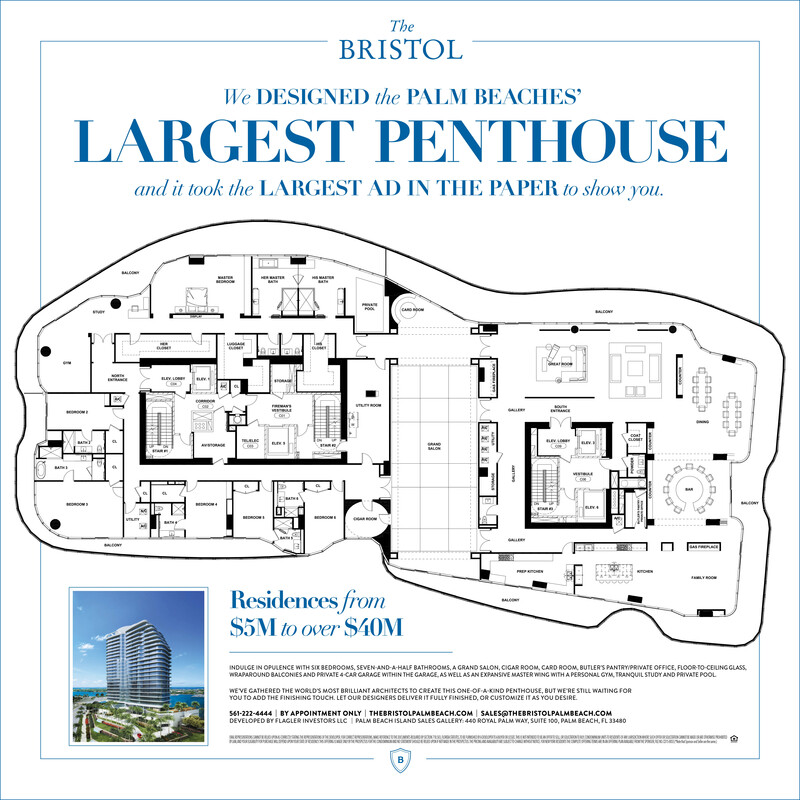 After the initial campaign, The Bristol saw a sharp uptick in sales, proving that high-profile TV can sell multi-million dollar condos. The resulting surge in sales enabled The Bristol to break ground with an exclusive and elegant event. Mayor Jeri Muoio attended this high-profile affair, along with other West Palm Beach dignitaries. Through our PR efforts, we generated a lot of good press for The Bristol with this event. Have a big project that needs some creative branding and marketing? Contact us to see how we can help you score big.